One of these days I am going to consolidate in to one massive huge uber-post all the Q&A ever asked about Delta and even put them in alphabetical order. For now, I will add to this list. There a some things you want to see on your “My Delta” page (ok it is always nice to see Diamond Medallion if not, book a few more mileage runs)! Let’s break these down and why I have them highlighted. 1) If you have either the personal or business Delta Reserve card it should show up here on your “My Delta” page. If this is the case, you are all set for more upgrades that the Reserve card gives as well as more low level award space and Skyclub access with your boarding pass. If it does not show up you need to check HERE and clean up all the old credit cards you may have at Delta.com. You may want to even remove ALL the cards, save, exit and log out, then go back in and then add back the Reserve card. Also, as long as you see this, you DO NOT have to pay for your Delta ticket with this card to get all these perks. 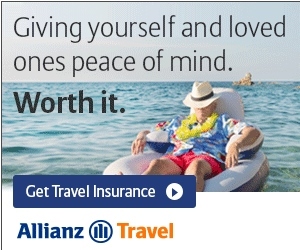 You can, but maybe you want to use the Membership Rewards GOLD card that pays 3x for airfare. I get that & that takes us to our next point to cover. 2) I would suggest you put the Delta Reserve card as your primary if you have it. Is it necessary to do so? No. Can you put other cards in also? Yes. Here is my only fear – we all know Delta “IT”. So, even though I often pay for my Delta tickets with other cards, I ONLY put my Reserve card in here. Maybe I am just being paranoid. 3) Here is where your ETV’s from a bump or Choice Benefits cert will show up. I will tell you that for now eGift certs are NOT showing up properly here as well as your AMEX BOGOF certs. I hope Delta fixes this soon. Now don’t stress out if they don’t show here and you have a ETV. Again, we know how good Delta “IT” is and as long as you can see it HERE when you put in the number you are fine! 4) Promotions. Always peek to see if there are any promotions you are targeted or eligible for. Not planning on flying to Japan (NRT), me neither, but I register just in case. It is free and takes 2 clicks! 5) Delta wants you to look at adding the Delta AMEX cards to your wallet. I think this is a great idea but if you like the blog, consider using DeltaPoints links rather than those at Delta.com (they make enough money on bag fees anyway right)! Thanks! Question about the using other Delta Amex while having the Reserve Card. I’ve had the Personal Delta Reserve Amex for a few years now and have enjoyed the priority upgrade benefit. Now for the first time, I have reached my $60k spend. Knowing this would happen, I was lucky enought to get the Delta Biz Platinum Deal last month. When I applied for the plat card planning to move all spend, including Delta tickets, to that card; I did not even think about the Reserve upgrade benefit. (it does say to receive that benefit, the tickets must be purchased with that card) You are saying that is not the case? How do you know? I still have my Reserve card as my primary and see it on my “My Delta” page, but I also added the platinum card to my account. Do you not reccomend this? @Adam – according to Delta as long as your Delta Reserve shows as in your account you are all set for the upgrade tiebreaker. There is no need to buy the ticket with that card to get the perk. 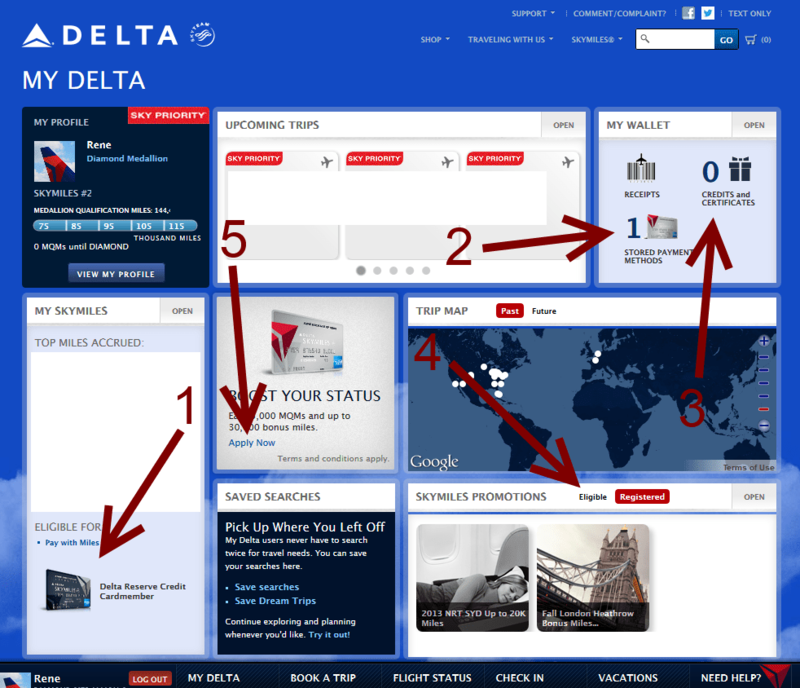 The key is that is shows in your account and on your MY DELTA page. Since the AMEX Plat (Non-Delta) gets you Skyclub Access as well, will that print on your boarding pass if your AMEX is in your profile as well? @Tom – no. That is no part of Delta so you have to present the card and have them swipe it. With the Reserve card you just present boarding pass and id.